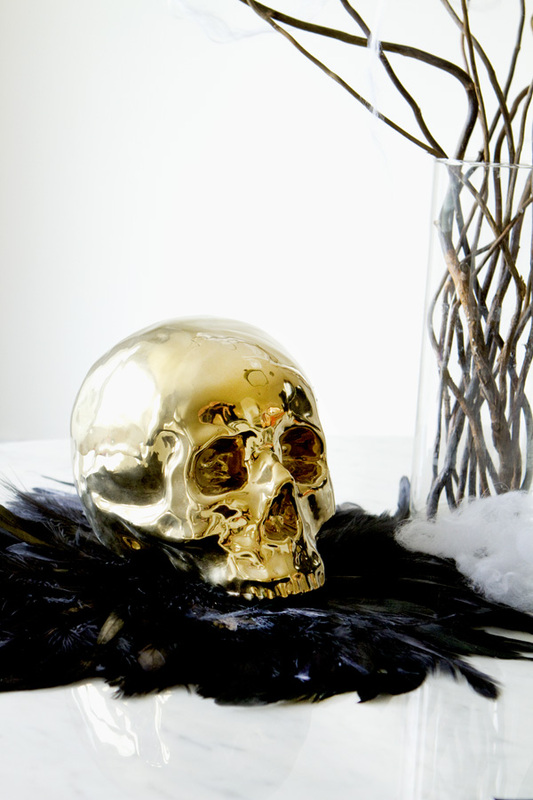 Halloween is one of the trickiest holidays to decorate in style, pun intended. 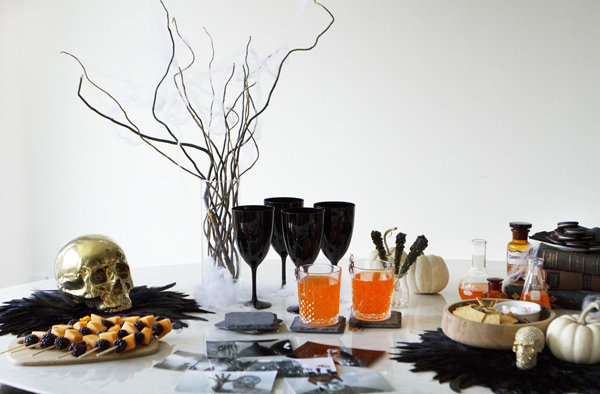 :) If you’re not into bloody eyeballs and scary skeletons, the chances are it can be difficult to find decor that is stylish yet still embodies the Halloween spirit. So I decided to take on this challenge and came up with 9 simple decorating and entertaining tips on how to make your next Halloween party ‘Gothic Chic’. I was actually quite amazed how well these tips turned out! 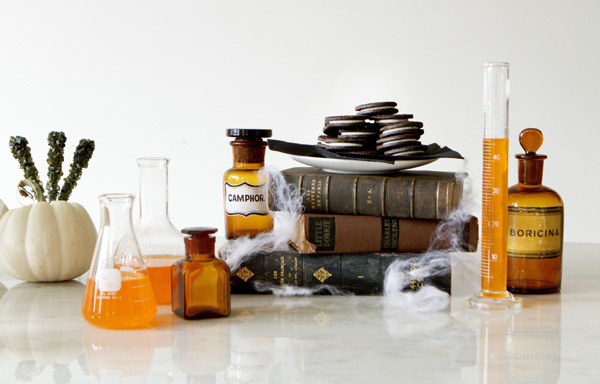 Before I get to that, I do want to tell you that I’ve partnered with Fanta and OREO for this fun Halloween series and am hosting a Fanta and OREO Spooky Snack Lab Contest Giveaway! One lucky Shop Sweet Things reader will have a chance to win an incredible prize pack worth over $550!!! That’s a whole lotta snacks! If you’re up for pimping your pantry this holiday season, be sure to check out the prizes and contest details at the end of this post! 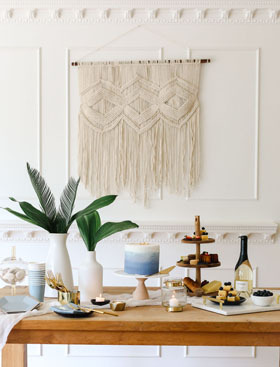 Alright, here comes my first set of Gothic Chic decorating and entertaining tips! Ready? 1. 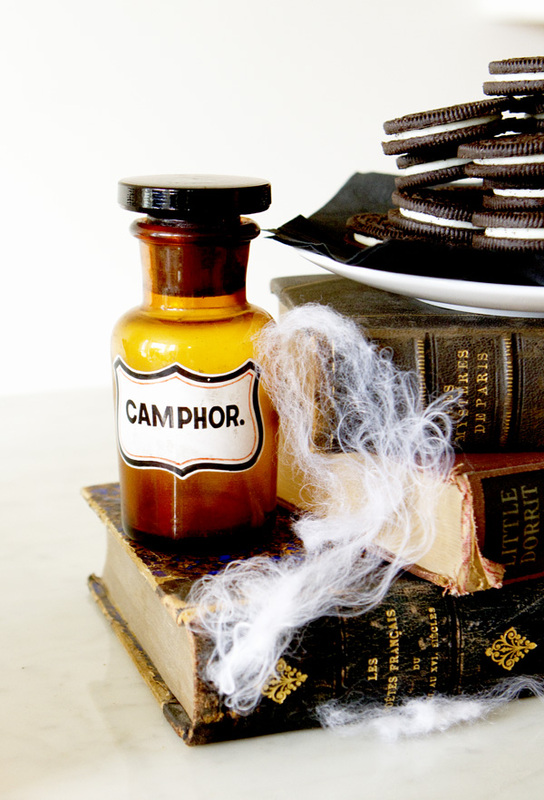 Use Antique Books To Display Food. 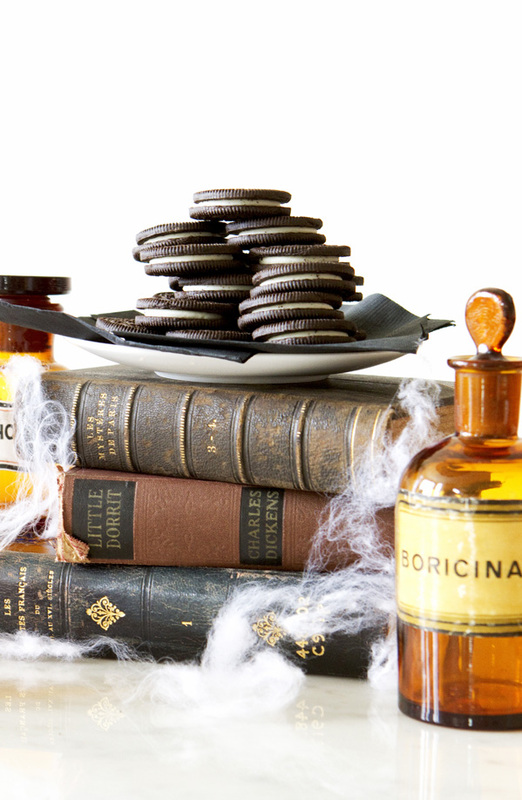 Instead of just placing food on the table, find a couple of old, antique books to display make a food or dessert display. You can even create a few stacks of antique books with various heights to create interest and depth. I found my antique books at a local thrift store, but you can find them easily through sites like eBay, Craigslist, or Etsy for pretty cheap. 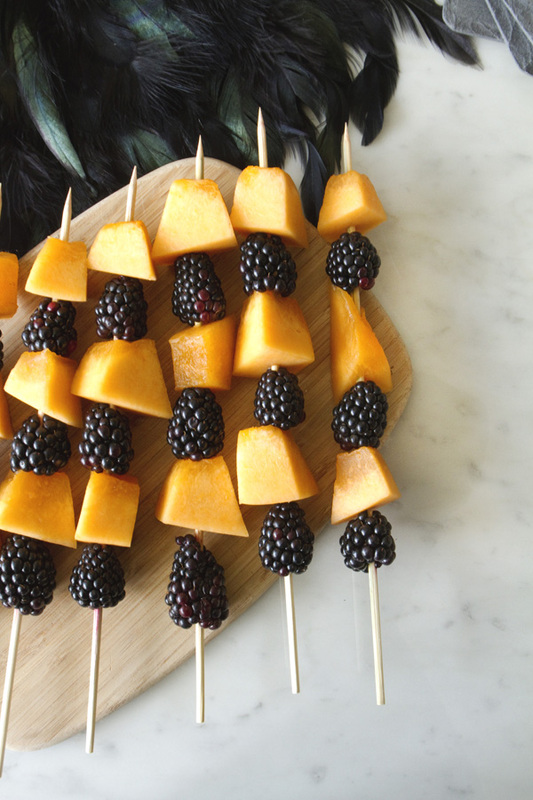 // Cantaloupe and blackberry on a stick. 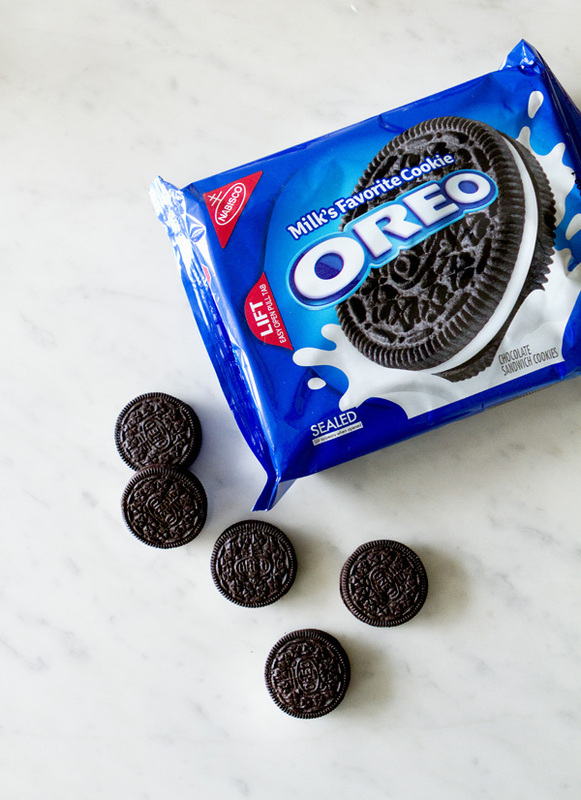 // A pack of OREO. As you can tell, it looks pretty awesome by itself just stacking up on a cool display of antique books. If you want to step up your game and make Halloween snacks, check out this fun tutorial on youtube for Fanta Pina Ghoulada + Spooky OREO Spiders! // Rock Candy Sticks in black. 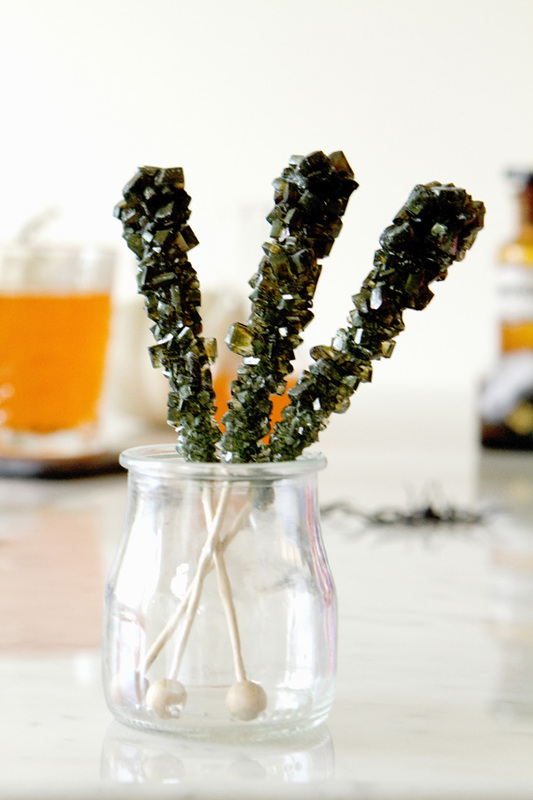 I love the look of these rock candy sticks because it adds a little bit of glitz to the table. Guests can have it as a lollipop or add it to their drinks. 3. Add Metallic Morton Skulls. 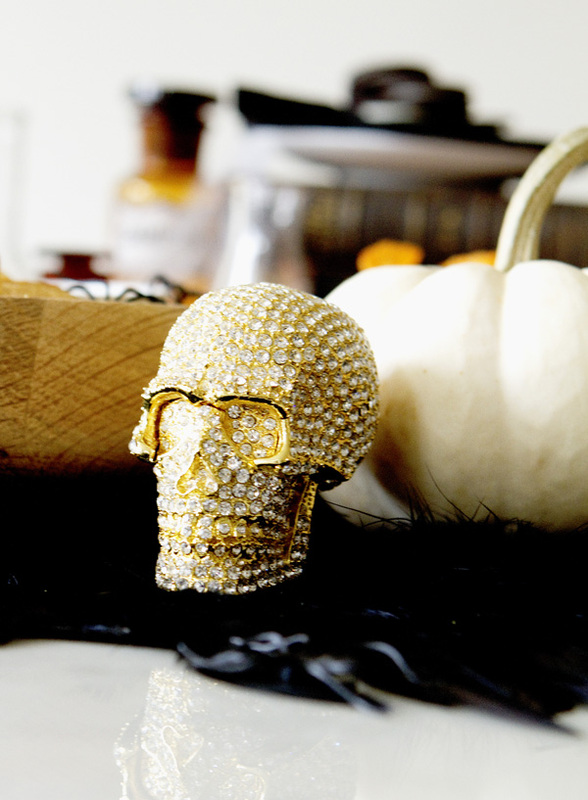 Regardless of Halloween or not, these gold metallic skulls add the perfect accent to the table. They look expensive (and some are), but the ones I found here are only $14.95 and you can actually use it as home decor afterwards. They also come in shiny silver or studded silver for some serious gothic chic vibe! 4. Decorate With Vintage Beakers + Antique Medicine Bottles. Again, I found all of these props at my local thrift shop, but you can easily find these online. 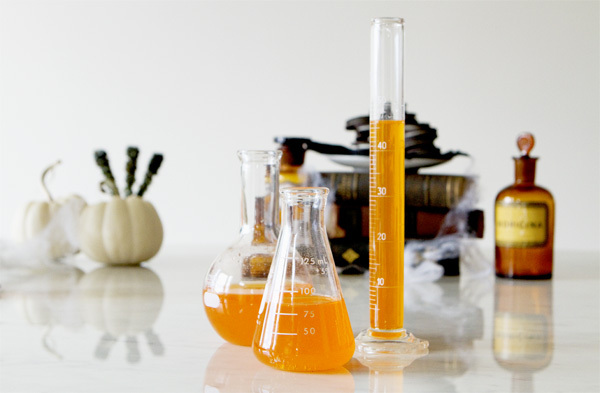 To add Halloween colors (tip #2), I decided to fill up the vintage beakers in Fanta Orange. Isn’t it neat? 5. 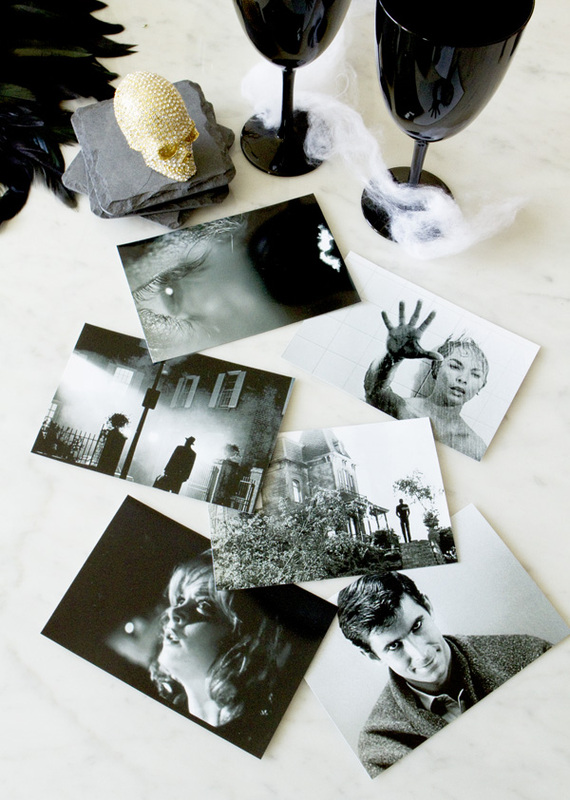 Print Out Horror Movie Pictures To Create The Mood. This is one of my favorite because if there is something you need know about me is that I LOVE HORROR MOVIES! Especially the old classic ones, The Shining, Psycho, The Exorcist, you name it. So for this tip, all I did was I google’d horror movie images in hi-res and printed them out at my nearby Walgreens. Initially, I wanted to put them in gold vintage frames, but I couldn’t find ones that I like with good prices so I just laid them out on the table, which I actually ended up liking a lot. Doesn’t it creep you out? // A $500 gift card ($550 approximate retail value). // 3 packages of OREO Cookies, 1 package each of, RITZ Crackers, CHIPS AHOY! Cookies, WHEAT THINS Snacks, TRISCUIT Crackers, NUTTER BUTTER Cookies. 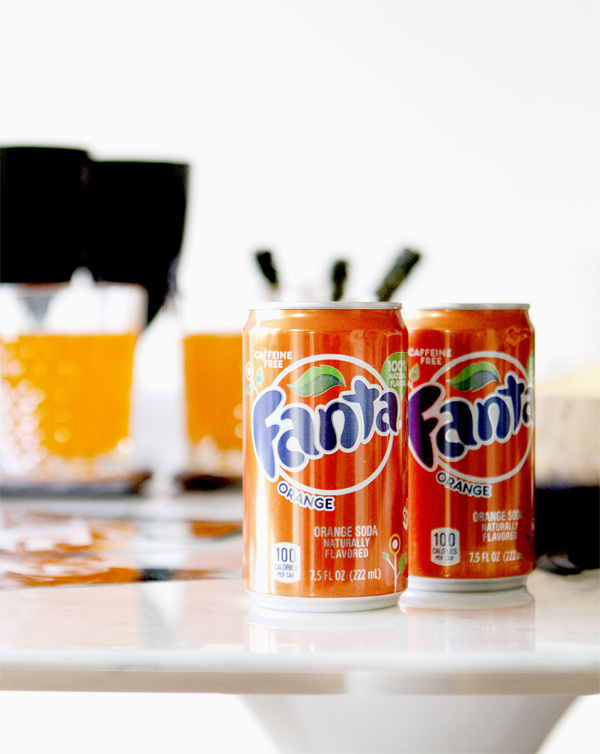 // Two (2) 6-packs of Fanta Orange mini cans. // Four (4) 12-oz cans each of Fanta Orange, Grape, Pineapple and Strawberry. To Enter: Create a custom Pinboard #SpookySnackLabContest and start pinning your favorite Halloween recipes, lifestyle and entertainment tips & tricks. If you like what you see here, you can even start by from this post! See my example here. This giveaway starts 10/7 – 10/21, 11:59am PST, and open to U.S residents only. Winner will be randomly selected and announced on 10/23 on this post. Good luck! This post is kindly sponsored by Fanta and NABISCO. 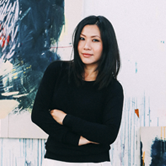 Thank you so much for reading and letting me share my decorating and entertaining tips with you this Halloween! Be sure to follow my Instagram and Snapchat username: shopsweetthings for instant discoveries and behind-the-scenes. 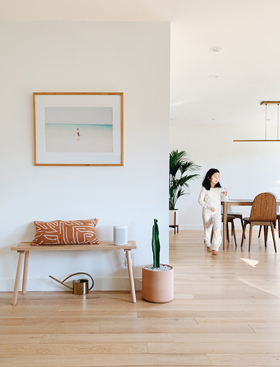 Photos and styling by Jeanne Chan.